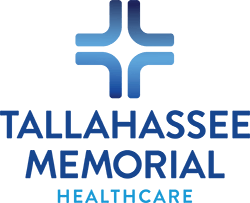 Join us Wednesday, March 13, 6:30 P.M. at Theater Tallahassee for a delightful evening of entertainment to benefit the programs of Ability1st and the Peyton Tuthill Foundation. 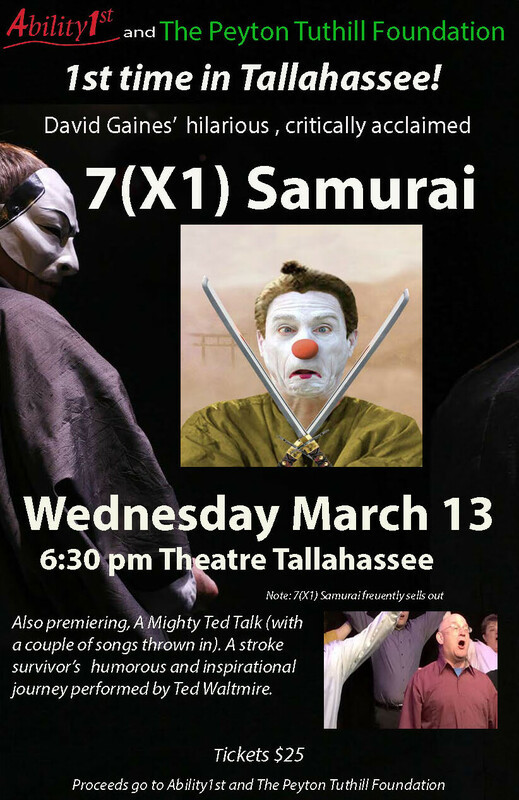 David Gaines' hilarious "Seven (X1) Samurai" has sold out theater festivals across the continent. The show, which features one actor, alone on stage, recreates the experience of the epic film "Seven Samurai" in about an hour. Enjoyed by audiences and critics alike, it's been described as “part Chaplin, part Looney Tunes and more than a little Cirque de Soleil." Mr. Gaines teaches theater at George Mason University. He also works as a professional clown at Children's Medical Center in Washington, DC. He currently tours his two most recent solo performance pieces: the circus-themed "A Little Business At the Big Top", and the samurai epic "7 (x 1) Samurai", which has won awards and sold out at Theater Festivals all across the country and the continent. The Mighty Ted" takes an unflinching and humorous look at Ted Waltmire’s experiences after having a stroke at 56. It’s an inspiring musical journey through the highs and lows of dealing with hospitals, therapy, retirement, social security and ultimately re-discovering how to live life fully with the love and support of friends and family. Ted Waltmire studied improv at Chicago's acclaimed Second City and has served as the musical director for community and college theaters in the Chicago area. 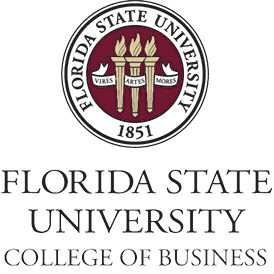 Event Sponsored by: Audiology and Associates and FSU School of Business.